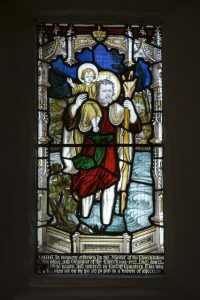 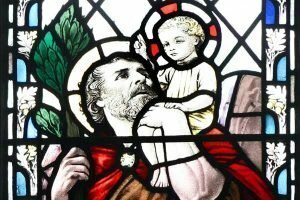 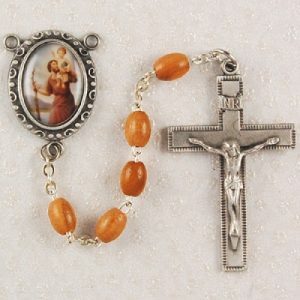 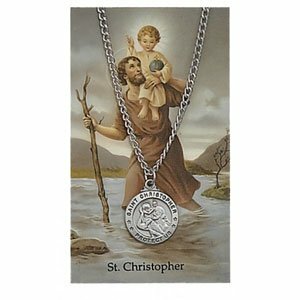 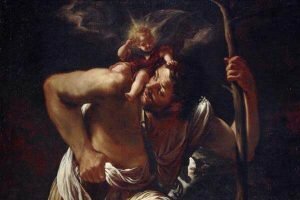 St Christopher the patron saint of travelers, is one of the most popular saints in the world. 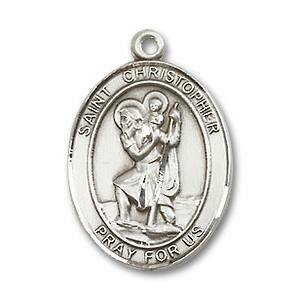 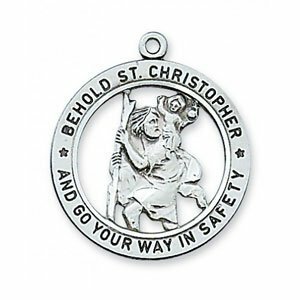 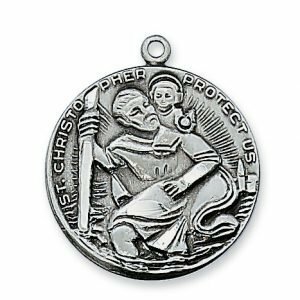 Religious medals are devotional items and people will often wear a St Christopher Medal as a necklace by putting on a chain. 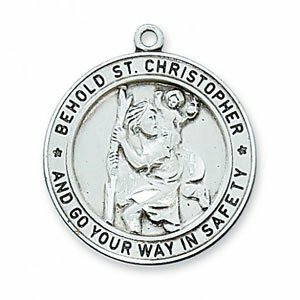 This way they are always under the protection of the saint. 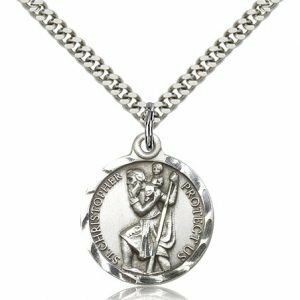 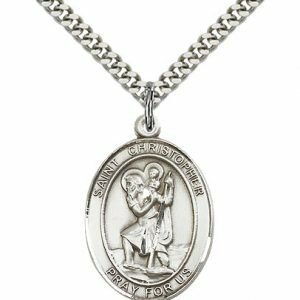 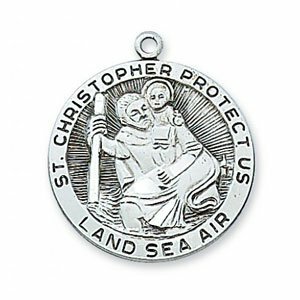 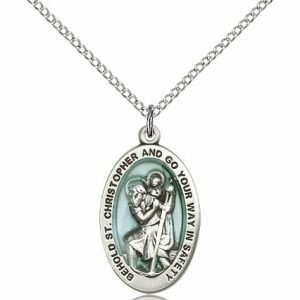 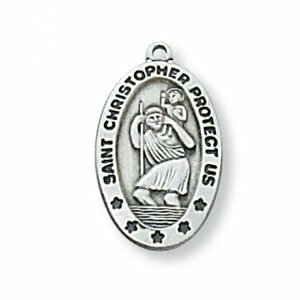 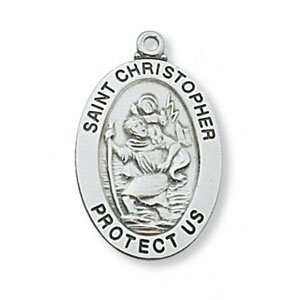 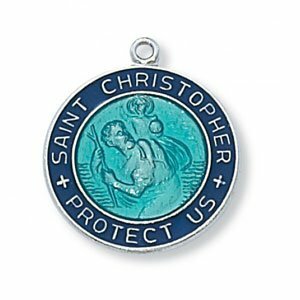 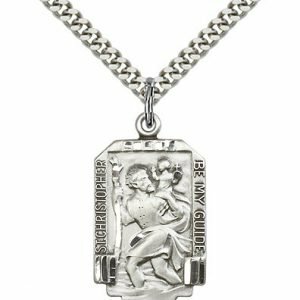 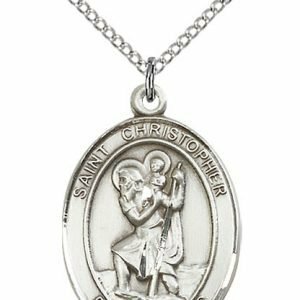 Looking to buy a Saint Christopher Necklace or Medal – With hundreds of options to choose from, you will appreciate the wide variety of styles and sizes in Sterling Silver, Gold Filled, and 14 Kt Gold in our collection. 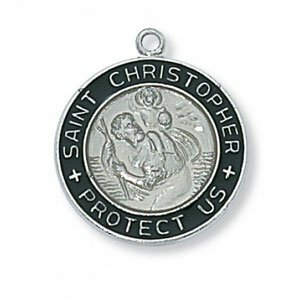 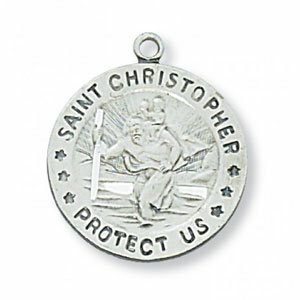 Due to St. Christopher’s protection he is found on Saint Medals for Athletes and on our line of Military Medals.